An equal mix of moderate and high intensity aerobic activity plus two or more strength training sessions each and every week. And for even greater health, they further suggest that you double the recommended aerobic activity minutes. 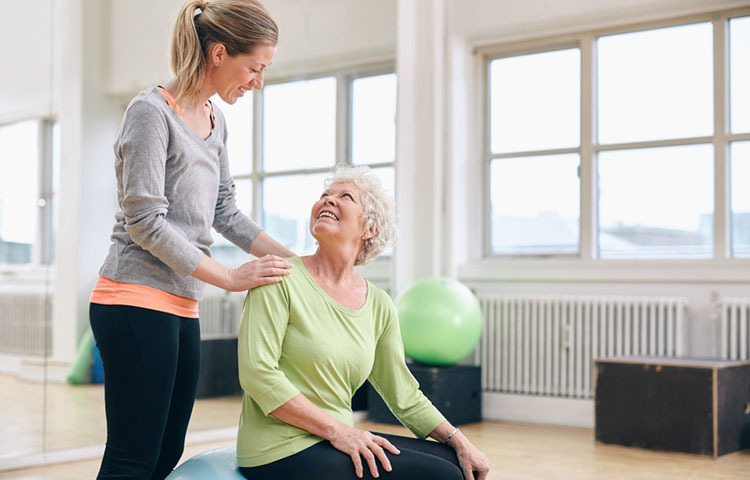 While cardiovascular and strength training exercise are both good for your health, Pilates is also an important part of an exercise regimen for older adults and research confirms its many benefits for people within this specific age category. Researchers from the Medical University of South Carolina and the University of Padova in Italy got together and conducted a systematic review of 10 different Pilates-based studies conducted on adults between the ages of 60 to 80 years old. Six of the studies were randomized controlled trials and four were uncontrolled trials, providing results from a few different research methods for obtaining data related to this topic. What did they find? Based on the studies reviewed, Pilates exercise training sessions were found to have a large positive impact on the older participants’ muscle strength and it improved their ability to walk. This form of exercise also made it easier for the study individuals to engage in activities of daily living, which are generally classified as eating, bathing, dressing, and using the bathroom. It showed positive mental benefits as well, with researchers noting that it provided better mood states and an enhanced quality of life. Additionally, these research studies showed moderate effect on the participants’ dynamic balance, or balance while in motion, which is very important as the number of balance-related falls increase with age. Small positive effects were also found in regard to static balance (balance while remaining still), flexibility, and cardio-metabolic functions. All in all, Pilates offers a number of benefits for older adults, making this particular exercise form a great addition to a complete health and fitness-based routine. However, as always, it is advised to consult with your doctor before beginning this or any other exercise to ensure that it is safe for you. Centers for Disease Control and Prevention. (2014, June 17). How much physical activity do older adults need?